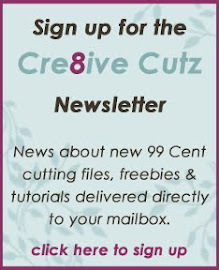 Cre8ive Cutz - 3D SVG Cutting Files for Electronic Cutting Machines: Welcome to Day Five of the Make the Cut Blog Hop! Thank you for the video I am going to do this!!!! How cute! I love the shaped edge card. Thank you for sharing this with us! Thank you Nancy, I love your video's which are way better than my TV. Love the file too and it is going to be a Happy Aunt Grace Mother's day card. Beautiful card. Thank you for the video, I haven't tried to do this yet so it will be a good learning experience. I loved your video on the layering of the shape card! I am bookmarking this to show others. Thanks for the great tulip file as well!!! So glad you are part of the hop!!!! I love the card. Can't wait to try this. Thank you so much for the great tutorial! Thank you so much for this post. I want to let you know that I posted a link to your blog in Creative Busy Hands Cricut Freebies Search List, under the Card post on May. 05, 2011. Thanks again. 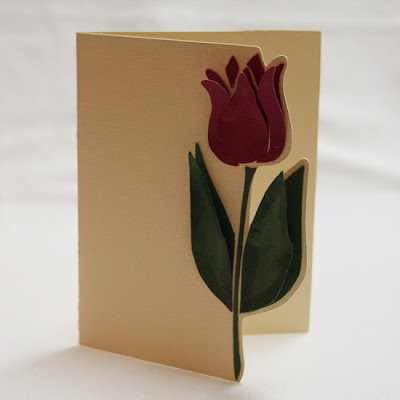 Great step by step tutorial- LOVE your detailed instructions and lovely card. Thanks for sharing your creativity- love my MTC! I love your card and tutorial! Thank you for taking the time to give us such a detailed tutorial. Really like this card so many ways to use it. Great tutorials! Thanks for the file to start out with! Beautiful card! Would make a nice Mother's Day card! 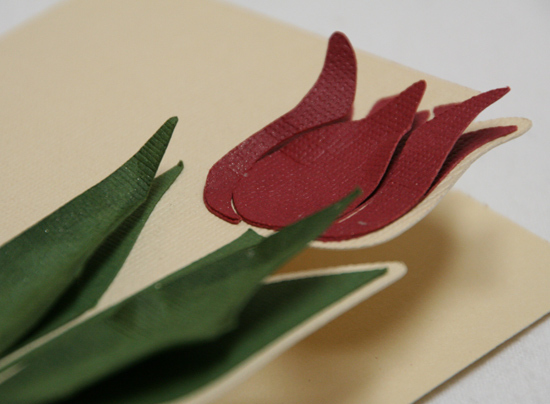 Thank you for the lovely tulip cut card. I cut it in surecutsalot and it came out great. Great tutorials. I'm giving this card to my 95 year young mother for Mother's Day this Sunday. She will love it. Thanks again for sharing. Happy Mother's day to you also. Awesome Awesome job!!! What a very pretty card and indeed perfect for Mother's Day!!!! Thanks so much for your tutorial. I learned a couple of new things! The tulip is gorgeous! Thank you for sharing your card with us. I love the layers. I did it! Ya I made this card. I am gonna give it to my mom as a thank you card. Thanks for sharing this!